Japanese American troops of the 442nd Regimental Combat Team risked everything to rescue a trapped unit of the 36th Division in the Vosges Mountains. Company K, 442nd Regimental Combat Team greeted the dawn of October 28, 1944, with trepidation. The previous day they had endured heavy fighting along with artillery fire during the night. Most of the men stayed in their foxholes through the night, their fighting positions in sight of the defending Germans. Medic Jim Okubo was dug in with them, having spent the previous day moving through the dense forest treating torn and broken men. He used his supplies of damp bandages to staunch their bleeding before turning them over to the stretcher bearers who took them back to aid stations farther to the rear. Now the company’s mission was to continue the attack. Ahead of them in the wooded hills were some 200 GIs of the 36th Infantry Division’s 141st Infantry Regiment. Days before, they had been conducting an advance of their own but ran into a substantial German force and soon found themselves cut off and surrounded. They had been trapped for days now, enduring relentless German attacks, unable to break out and rejoin their unit. The 442nd’s task was to rescue the “Lost Battalion” and bring it home. They were low on ammunition, food, water and radio batteries; the ensnared men could not hold out much longer. Company K got no more than 100 yards before machine-gun and rifle fire broke out across their front. The Japanese American GIs, known as Nisei, fought back, spraying the ground ahead of them with their own fire. Jim Okubo heard the cry of “Medic!” and ran to help. He dropped into the mud next to the wounded man and dressed his injuries, telling him he would be okay. Another man cried out, and Jim began crawling through the mud toward the sound. Machine-gun fire cracked above him as mortar shrapnel tore the air overhead. He crawled 150 yards before finding the man prostrate a mere 40 yards from the enemy line. Placing himself between the injured man and the enemy, Jim dressed his wounds. Realizing there was no one else to help get the man to safety, the young medic picked the GI up and carried him all the way back to the American position. Along the way he dodged two grenades and everything else the enemy threw at him. Somehow, he had come through the ordeal alive and unharmed. His lungs burned, and his legs ached from the exertion of carrying the 150-pound man to safety. He did not stop to rest. There were more men who needed his attention in the cold, wet forest of the Vosges Mountains. Japanese Americans faced prejudice, persecution, and forced relocation during World War II, yet thousands of them volunteered to join the U.S. military. A number of them chose to serve in what became the 442nd Infantry Regiment, an “all-Japanese” unit that actually contained a number of white men—officers assigned to command the unit. With something to prove to the rest of the nation, they fought with a determination seldom seen in any other outfit. By the end of the war, the 442nd would be the most decorated combat regiment in the U.S. Army. 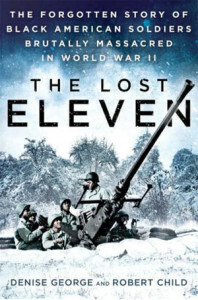 Their supreme test came in the Vosges Mountains, when they carried out the rescue of the Lost Battalion. 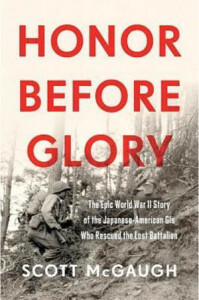 This effort is well-told in Honor Before Glory: The Epic World War II Story of the Japanese American GIs Who Rescued the Lost Battalion. The fighting in the Vosges Mountains during 1944-1945 was among the worst of the war. Bad weather, rough terrain, and tenacious German defenders combined to form a cold, hellish combat environment. The author brings their situation to vivid life through extensive and descriptive detail. The book was researched using more than 100 oral histories from former members of the unit and a journey to the battlefield itself, which was still littered with relics of the fighting. He clearly portrays the ability of dedicated men to endure hardship and overcome challenges to help their fellow soldiers. While the narrative focuses on the fight for the Lost Battalion, the author adds vignettes of the soldier’s lives before they joined the 442nd, allowing the reader to understand their struggles in an America that feared and distrusted them but needed their services all the same. In the end their efforts not only brought them honor, but also, in time, helped show the country the depth of its mistake in their treatment. Smoke still poured from the wrecked ships and facilities at Pearl Harbor as the American citizens of the West Coast began preparing to defend their beaches and streets. Army Air Corps General Henry “Hap” Arnold had predicted years earlier that 40 bombers could fly around the defenses of Los Angeles and destroy the city’s aqueduct system in Owens Valley, forcing two million inhabitants to evacuate. People feared attack from the air, by submarine, or even landings by Japanese troops. General Joseph Stilwell, a sector commander for the West Coast, feared the Japanese had the freedom to land anywhere along America’s long shoreline while the Army lacked even the ammunition to significantly delay them. Still, measures were taken. Blackouts were initiated, and airports were disguised to prevent enemy use; some were hidden so effectively even U.S. pilots could not find them anymore. Frightened and jittery, anxious Americans did what they could to make ready for what might come. The story of how America prepared the West Coast for war is largely untold; many works mention it but give only the briefest detail. This new work sheds light on its subject. The author uses a balanced mix of detailed archival research and anecdotal occurrences to convey a lively and captivating retelling of the events that took place all along the western shores in 1941-1942. 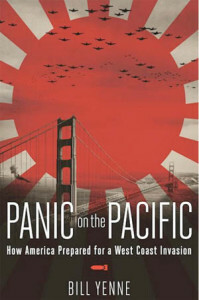 Included at the end is a four-chapter “what-if?” section containing interesting scenarios of how Japanese attacks and landings on the continental United States may have played out. Operation Agreement was a surprise raid on the port city of Tobruk in Libya that took place in September 1942. Rommel’s army used the port to simplify its supply lines; possession and use of Tobruk’s facilities made it much easier to keep his troops fed, watered, and fueled. The town had been the site of a famous siege earlier in the war but was now solidly in German hands. 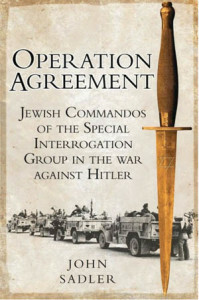 The plan included attacks by land and sea; the land portion was in the hands of the Long Range Desert Group, and it was to be assisted by a new unit—the Special Interrogation Group (SIG). The SIG operated behind enemy lines to gather intelligence. It was made up largely of German Jews displaced from their nation by the Nazis. Most had moved to Palestine in the 1930s to escape persecution, and now they fought against their tormentors. Their participation in the operation meant they risked everything to fight. If captured, execution or a concentration camp awaited. Operation Agreement was complex with many moving parts across the sands of the deep desert and the waters of the Mediterranean. The author does an excellent job bringing all the disparate pieces of the raid together into a readable and easily understandable format. The level of detail and the addition of extensive material related to the participants’ lives and experiences rounds out the book nicely. Readers interested in Special Forces operations in the Western Desert will find this volume of particular note. World War II spawned the largest campaign of air-to-air combat in history. Masses of fighter aircraft took to the skies in enormous duels, attacked troops and equipment on the ground, strafed ships, and defended or pounced on bomber formations. There were myriad designs, and they radically improved over the course of the war. The best of them rose to enduring fame and are revered even 70 years later. Designs such as the North American P-51 Mustang, Supermarine Spitfire, Messerschmitt Me-109, and Mitsubishi A6M Zero are known even to the most casual students of the war. 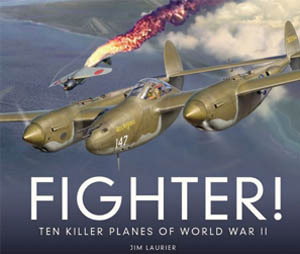 The author is an award-winning artist, and this book compiles his depictions of his top 10 fighters. Photographs and detailed text also entertain the reader, but the stunning artwork is what truly makes this book stand out. Line drawings and battle scenes are both included, showing the graceful lines of these warbirds along with images of them in action. This is a visually stimulating coffee table book that invites the reader to pick it up and start turning pages. In the autumn of 1941, more than a million German soldiers set out on a great offensive to take Moscow, the capital of the Soviet Union. Most thought it would be the attack that would end both the campaign and their suffering on the Eastern Front. Their enemy was poorly trained and had so far lost thousands of miles of territory to relentless German assaults. The operation initially went well for Germany, and thousands of Russian troops marched off to the prisoner pens. Then the weather set in, seasonal rains that stopped armies in their tracks. By the time the Nazis could resume their offensive, the Soviets had built up their defenses, leading to a desperate and hard-fought conclusion. 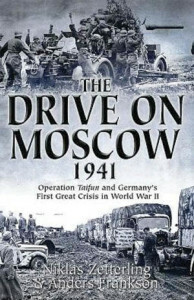 The Eastern Front was by far the largest theater of World War II; as a result, books on the subject are often lost in the grand sweep of the location, focusing too much on army groups and high-level actions. The human face of the conflict is lost. The strength of this work is its focus on that human dimension; attention is given to field marshals and national leaders, but equal space is given to soldiers on the front, facing artillery and mines along with the horrible weather. This book places the reader alongside combatants at all levels. 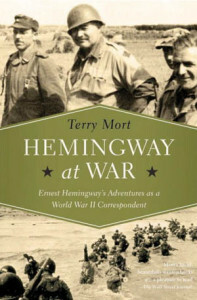 Ernest Hemingway was a larger than life character, a man who would go into the thick of the action, often with a bottle in hand to accompany his pencils and paper. In the spring of 1944, he agreed to cover the European Theater for Collier’s Magazine. Though he had resisted going before then, once in England he went to work, flying with the Royal Air Force. On D-Day he rode a landing craft ashore to Omaha Beach. He rode into Paris before the city was secure and accompanied the French Resistance. His personality was sobered by his experience in the Hürtgen Forest, seeing his beloved unit, the 22nd Infantry Regiment, destroyed almost to a man. His wartime experiences greatly influenced his later work. The author does an excellent job bringing a balanced view of the famous journalist to the pages of his work. This is no unabashed tribute to Hemingway, but rather a balanced look at the man, covering both his many talents and his numerous flaws. The result is a smooth and level look at one of America’s great writers, written in equally smooth and level prose. Twilight came early on January 12, 1945. It made it difficult for Lieutenant Evgeni Bessonov to see the village looming darkly ahead of his men. They hung onto their T-34 tanks tightly, waiting for what the next few minutes would bring. Suddenly, German machine guns opened up, followed by the booming cracks of tank guns. Bessonov and his men leaped from their tanks; it was the worst place to be now. They lay down in the open field and began to dig in, but their battalion commander ordered them to attack. The next minutes were a chaotic blur as the infantry came at the Germans from both flanks while the T-34s fired into the village at likely targets. They soon held the village but spent the rest of the night fending off Nazi counterattacks supported by panzers. 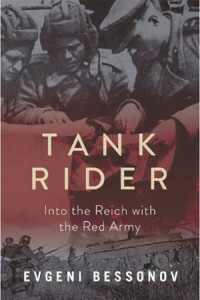 The Tankodesantniki, or “tank rider” was an almost ubiquitous part of the Red Army in World War II. Tanks and infantry work best when they support each other, and the Soviet tactic ensured infantrymen would be available by making tanks their primary mode of transport. When tanks were not available or had been lost, they fought as regular infantry. The author is a veteran infantry officer who served as a tank rider and managed to survive the war. His account relays the hardships, bravery, and sacrifices he and his men endured and witnessed across the Eastern Front. The Battle of the Atlantic is known as the struggle of the U-boat against the Allies. However, these deadly submarines ranged much farther, cruising into the Indian Ocean where they were lethal against British shipping. U-boats also carried out technology and personnel exchanges with the Japanese Empire and even carried members of the famous Brandenburgers commando unit for special missions in South Africa. Almost 40 U-boats went to war in this arena, diverting much Allied effort toward their destruction. They carried out missions as far as Australia and New Zealand, but their story is almost forgotten today. This unknown facet of the naval war is brought to light through the words of the sailors who crewed the submarines, existing records, and sharp analysis of the war these men fought. It is a straightforward work in which the author’s expertise and study shines through. The book has many original photographs of the participants and what they saw during their long travels across an ocean far from home. The men of Charlie Battery, 333rd Field Artillery Battalion were in the Ardennes Forest on the morning of December 16, 1944. Their 155mm cannon had seen little use during their time guarding this relatively quiet section of the front. It all changed that morning. Suddenly, German artillery crashed down across the front. The African American soldiers of the unit fired back. By the next morning, they were almost out of ammunition. German infantry arrived, pelting the GIs with machine-gun and rifle fire. The Americans shot back with their own carbines and rifles, but soon ran out of cartridges for them as well. The time had come to leave. The GIs clambered aboard trucks for a journey westward to perceived safety. Their tragic journey was only beginning, however. The story of 11 of these men ended in a village called Wereth, where a farmer hid them. A neighbor’s betrayal placed them in the hands of the Nazis, who brutalized and killed them in a field. The sad tale was nearly forgotten until the authors worked to bring it to light from dusty archives. Using interviews with survivors and the families of the lost, the authors created a volume that brings this heartrending story out of the darkness of obscurity and fully into the light. The Japanese attack on Pearl Harbor on December 7, 1941, was barely 15 minutes old, and Seaman First Class Donald Stratton was already near death. The 19-year-old sailor was at his battle station aboard the battleship USS Arizona when the deck beneath his feet heaved under the force of a tremendous explosion. A bomb had penetrated the ship’s deck and detonated the ship’s ammunition in a massive explosion. Stratton was burned over two-thirds of his body. Weakened, he managed to save himself by pulling hand over hand across a tether line connected to the neighboring repair ship USS Vestal. He made it across with four other sailors, but 1,177 others were lost aboard the ship. Many of them are still entombed there. Stratton spent a year in military hospitals. Doctors told him they should amputate his limbs, but instead he learned to walk again. Despite being given a medical discharge, he volunteered to remain in the Navy and served on a destroyer in the Pacific for the rest of the war. This is the first memoir by an Arizona survivor and may well be the only one ever published. 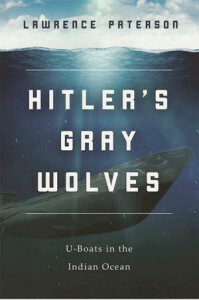 It is an intimate look at one sailor’s unique journey through the maelstrom of World War II. 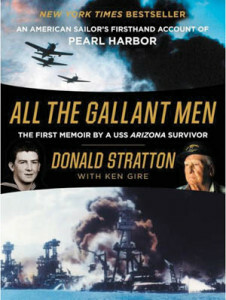 Aside from being a personal account of the Pearl Harbor attack, it shows how that day affected the author and shaped his life moving forward through the war and afterward. The Pearl Harbor attack occurred over 75 years ago; this is a unique work that brings the reader closer to the events of that day. Tags Allies, Ardennes, Battle of the Atlantic, D-Day, Eastern Front, Ernest Hemingway, European Theater, hürtgen forest, Japan, Japanese, Mediterranean, Messerschmitt Me-109, Nazi Germany, Pearl Harbor, Royal Air Force, South Africa, Supermarine Spitfire, The French Resistance, U-Boat, uss arizona, USS Vestal.